Known to be the masters in all- dance, acting, attitude and style, Hrithik Roshan turns 43 today. Although busy promoting his upcoming film Kaabil this January, Hrithik seems to be spending time with his family and kids on his special birth anniversary too. Most of the celebrities and Hrithik‘s filmy buddies have taken down to their social media and wished the actor. Surprisingly, ex-wife Sussane also wished the actor and proved she still has a bond with her beau. Well! let’s see what the stars have to say over Hrithik‘s birthday. 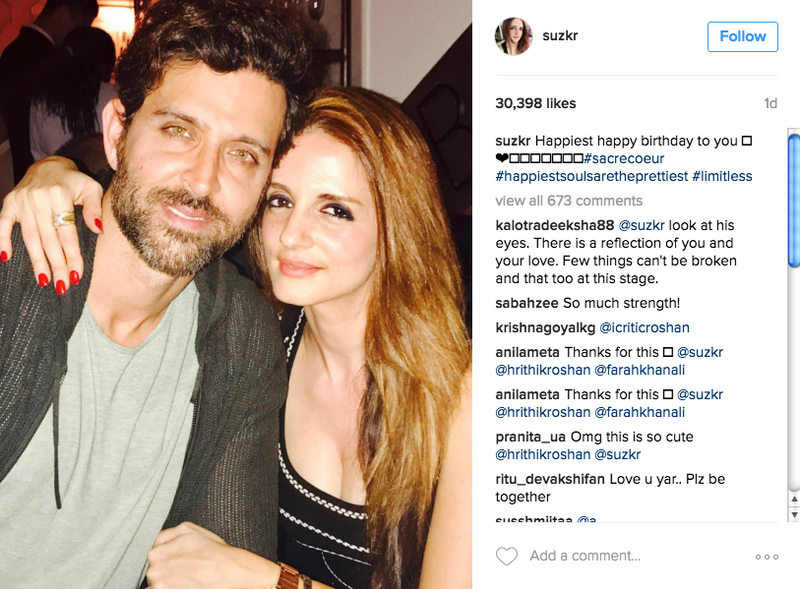 Hrithik Roshan seems to be showered with many wishes and love from friends and buddies. We wish Hrithik Roshan a happy birthday!